Step 1: Plan Ahead – When Walmart starts pulling out their holiday decorations, you should be pulling out a copy of your Parenting Plan. What does the Parenting Plan say about holiday timesharing? Is it clear? Does your child’s school schedule this year in some way impact or change the way you have shared holiday time in prior years? These are all questions to ask yourself early on in order to clear up any misunderstandings about the holiday schedule. Communicate your understanding of the holiday schedule to your co-parent well in advance and confirm all dates, times and drop off/pick up locations with him/her. Step 2: Don’t Be Afraid to Compromise – Neither your attorney nor the judge had a crystal ball when your Parenting Plan was first established. Because of this, special circumstances, events and opportunities may arise during the holidays that were not contemplated in your Parenting Plan. 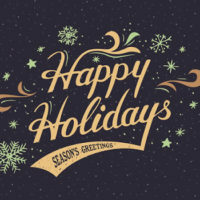 It’s often difficult to compromise during the holiday season since this time is so special with your children; however, always keep your children’s best interests in mind and know that there will likely be a time in the future in which you will be asking your co-parent to be reasonable with a schedule change during the holidays. If you’ve completed Step 1, you have likely sorted this out well in advance to prevent any added stress during the holiday. Step 3: Be Together – Just because you are divorced doesn’t mean that you have to spend time with your children separately. If you have maintained an effective co-parenting relationship with your former spouse, plan some time to do something together with your children. Whether it is attending a holiday religious service, school function or simply opening a few gifts together, these brief moments of unity will have a positive impact on your children. From our Older, Lundy & Alvarez Family to your Family, we wish you a warm and HAPPY Holiday season!